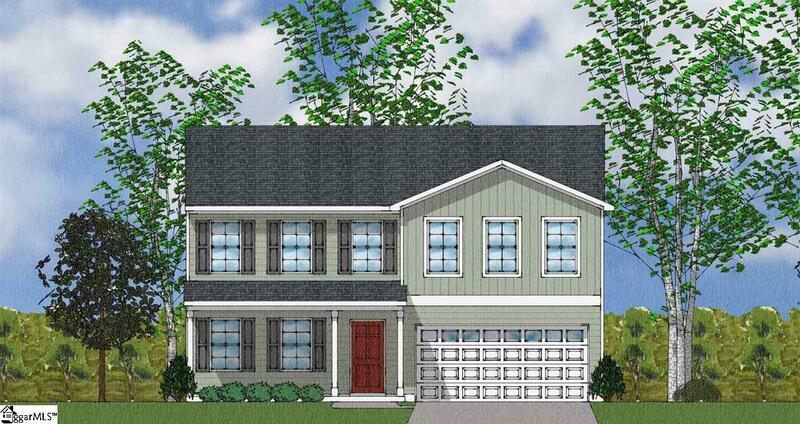 The McDowell Floor plan offers 4 Bedrooms and 2.5 Baths along with a 2 car garage. The first floor has an eat in kitchen, granite countertops, stainless appliances, and beautiful white cabinets. The kitchen is open to the large family room. Also there is a flex room that could be used as an office, or workout room. Upstairs is the Master Bedroom with a private bath and walk in closet. The other bedrooms, full bath, a loft, and laundry room are on the 2nd floor. A nice Patio with a spacious flat back yard finished this fine home. Located in the heart of Boiling Springs it is just minutes away from restaurants, schools and shopping.